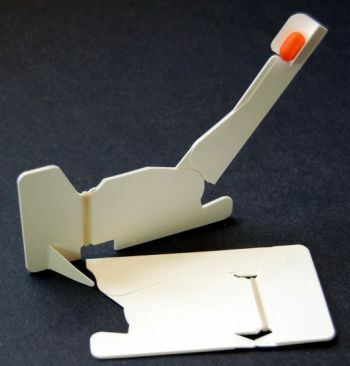 Trebucard (video) and Cardapult (video) are business cards that double as functioning miniature siege weapons. They are designed and built by engineer Bryce Bell of Cardnetics. Bell has also posted instructions on how to make his cards on Instructables.